Antoine Duval is a Senior Researcher for International and European Sports Law at the T.M.C. Asser Institute for European and International Law in the Hague, Netherlands. A few months ago, I wrote a piece on this blog entitled ‘The Pechstein case: Transnational constitutionalism in action at the Bundesgerichtshof’, in which I argued that the Pechstein case, then pending in front of the BGH, should be understood as a transnational constitutional matter. Johanna Croon-Gestefeld already picked up on my blog, to argue that Tuesday’s decision of the BGH in the Pechstein case can hardly be understood as exercising a constitutional control on the Court of Arbitration for Sport (CAS). I entirely share her view that this judgment is a missed opportunity and that transnational constitutionalism should look differently. In this blog, I would like to go a bit further and try to explain why the BGH failed to understand the constitutional dimension of this case and especially to properly assess the independence of the CAS. The first striking element of the press release of the BGH is its difficulty to acknowledge the forced nature of CAS arbitration. In its last paragraph, it starts by stating that “Die Klägerin hat die Schiedsvereinbarung freiwillig unterzeichnet.” This is surely true if you mean that she freely decided to become a professional speed-skater and participate in high-level competitions. Yet, as pointed out by the BGH itself in the following sentence, this ‘consent’ is very much “fremdbestimmt” (decided by a third-party). Can individual consent be deemed free when it is forced by a third-party? The paradoxical reasoning of the BGH betrays its unease with the necessity to acknowledge that CAS arbitration is post-consensual in nature (an unease shared by the Swiss Federal Tribunal (SFT) in its Cañas case). Indeed, arbitration is traditionally legitimated by the free consent of the parties. But in certain domains, investment arbitration and sports arbitration for example, international arbitration has turned post-consensual. What does it imply for international arbitration in these fields? First of all, that one needs a new legitimation to justify the forced jurisdiction of the CAS. This might be constituted, for example, by the necessity to safeguard the equality in front of the rules of the athletes engaged in international competitions. Second, one needs to reconceptualise the function of the CAS and acknowledge that it is very much in the business of exercising international public authority as defined by Armin von Bogdandy and Ingo Venzke in their recent book on the legitimacy of international courts. In turn, this must mean that the arbitral process and the structure of the CAS should aim at what von Bogdandy and Venzke have called a democratic legitimacy. One of the key elements of such a democratic legitimacy is that courts must be independent from the parties involved in the dispute and even more so from the transnational authorities they are supposed to check. In the following sections of this blog, I will aim at critically unpacking and deconstructing these four arguments one by one. In a first paragraph, the BGH sets out to rebut the OLG’s argument that the CAS is structurally imbalanced in favour of the SGBs, i.e. due to the selection process of the CAS arbitrators included in the CAS list. In the past, and still nowadays, it is the ICAS, a body constituted of 20 members nominated overwhelmingly by the SGBs, which decides who gets to be on the CAS list. Currently, based on their official CVs available on the CAS’ website, 13 out of 20 ICAS members have or had executive positions within SGBs. Hence, the OLG’s reasonable assumption that the selection process of arbitrators could lead to the perception that the CAS was in a way captured by the SGBs and prone to favour their interests and to not fully check their exercise of public authority. The BGH’s trick to rebut this finding of the OLG is to consider that the interests of the athletes and of the SGBs overlap in the fight against doping. Thus, meaning implicitly that it would not be a problem that the SGBs have a disproportionate influence in the drafting of the CAS list. This is a surprising argumentation to say the least. It is a like claiming that the independence of the criminal justice is superfluous, because both the State and the accused citizen share an interest in public safety and security. To the contrary, it is easy to discern that beyond an undoubtedly shared concern for the fight against doping, the athlete and the SGB involved in a particular dispute over a failed anti-doping test have radically opposite interests. The SGB aims at banning the athlete from competing, while the athlete is defending its right to participate in a competition and to exercise her profession. Consequently, the independence of the CAS is a crucial institutional feature to ensure that the SGBs do not abuse their legitimate regulatory and executive powers in an anti-doping dispute. The BGH, thereafter, argues that the CAS would be necessary to ensure the uniformity and swiftness of sporting justice and that this would be also in the interest of the athletes. I actually share the view of the BGH on this need for a uniform sporting justice embodied by the CAS. I even believe that in certain types of disputes its jurisdiction could be widened. Still, the judges failed to comprehend that this argument can be used only as a justification for the post-consensual nature of CAS arbitration. The need for uniformity and swiftness might indeed call for a single institution having mandatory jurisdiction over sporting disputes, but not for this same institution to be captured by the SGBs or to fail to ensure due process guarantees. Here, ironically, the BGH is laying the ground for a stricter constitutional review. It is the acknowledged necessity of forced arbitration that calls for an impeccable CAS on the due process side. In the following sections of its reasoning, the BGH argues that any remaining imbalance of the CAS in favour of the SGBs could be remedied via the procedural safety mechanisms included in the CAS code. In the full judgment it probably refers to article S.18 CAS Code providing that arbitrators have to sign “an official declaration undertaking to exercise their functions personally with total objectivity, independence and impartiality, and in conformity with the provisions of this Code” and to article R.33 CAS Code stating that “[e]very arbitrator shall be and remain impartial and independent of the parties and shall immediately disclose any circumstances which may affect her/his independence with respect to any of the parties.” Based on article R.34 CAS Code, any challenge of an arbitrator on the basis of the latter provision must be submitted to the ICAS Board composed of six members, five of which are or have been in the past involved in executive positions at SGBs. In these conditions, it should be obvious that challenging the independence of an arbitrator vis-à-vis the SGBs is extremely unattractive for an athlete, even more so when considering that in case of failure there is a risk of alienating the arbitrator in question. This is why the CAS’s independence issue is systemic and cannot be solved without re-designing the selection process and composition of the ICAS. Furthermore, the BGH also argues that both parties can chose an arbitrator on the list and that both arbitrators will then designate the President of the panel. This is plainly wrong. In appeal cases, concerning almost all the anti-doping cases and which was the procedure followed in the Pechstein case, it is the President of the appeal division that designates the President of the panel. This person is directly nominated by ICAS and it suffices to remind that the previous holder of this position was (until 2013) Thomas Bach (now IOC President, then IOC Executive Board member), to demonstrate how doubtful his or her independence from the SGBs was and still is. It is difficult to understand how such a basic mistake has found its way into a BGH press release. Even the official CAS Code Commentary by the CAS Secretary General openly justifies this exclusive prerogative of the President of the appeal division by stating that she “can better evaluate if it is preferable to appoint an experienced arbitrator in order to act as chairman of the Panel or a less experienced CAS arbitrator, who is not widely known to the parties but who would have the necessary background to rule on a particular case”. The dilettante manner in which the BGH has conducted its assessment of the CAS’ independence strongly contrasts with the OLG’s thorough discussion of the problematic role of the ICAS and of the president of the appeal division. Finally, the BGH insists that the losing party has the possibility to appeal to the SFT, which can annul the award. The problem is that the SFT has chose to be a mere paper tiger. Yes, it intervened (mildly) in the famous Gundel case in 1993, because back then the IOC was directly and openly controlling the CAS, but since then it has adopted a very narrow interpretation of the scope for challenges of the independence of CAS arbitrators. Generally, the SFT (to its credit openly) considers the CAS as a necessary evil that should be (very) benevolently checked. This is hardly a credible avenue to ensure that the CAS abides by the democratic standards called for on the basis of its mandatory global jurisdictions. On another blog, I called this decision surrealist, because it openly disregards some relatively uncontroversial facts and comes close to the famous Magritte painting ‘Ceci n’est pas une pipe’ by denying the obvious: that CAS arbitration is forced arbitration. I believe it fails to do so because it is not ready to acknowledge the post-consensual legitimacy of CAS arbitration. Yet, this recognition will come one day or another, and with it should not come the demise of the CAS, but its much-needed democratization. The BGH’s failure to put on a constitutional lens in this transnational legal context might be remedied by the Bundesverfassungsgericht’s readiness to do so, if Claudia Pechstein finds the will and resources (she is facing a legal bill of 300 000 euros) to attack a judgment once again. One can only hope that the Bundesverfassungsgericht would transpose its famous Solange approach to the CAS. Indeed, it should be allowed to operate only as long as it guarantees to the affected parties a (currently lacking) fair and independent judicial process. See footnote 2 in M. Reeb & D. Mavromati, The Code of the Court of Arbitration for Sport. Commentary, cases and materials. Kluwer, 2015, p.479. 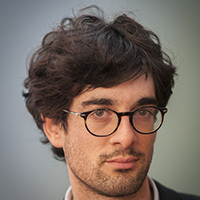 SUGGESTED CITATION Duval, Antoine: The Pechstein case: Transnational constitutionalism in inaction at the Bundesgerichtshof, VerfBlog, 2016/6/10, https://verfassungsblog.de/the-pechstein-case-transnational-constitutionalism-in-inaction-at-the-bundesgerichtshof/, DOI: http://dx.doi.org/10.17176/20160610-093528. This is a fascinating read and I really appreciated the contextualisation of the dispute within the context of transnational constitutionalism. But one argument is not entirely clear to me: It appears as if the author that the SGBs have built a suspicious "sports mafia" in which the executive members would pursue a common interest, conspiring against the athlete. (Not to be confused witht he mafia that a singular SGB might be…) Is that really the case? Is the accusation that SGB executives will spare their fellow SGB executives to ensure their support in future, similar cases against their own SGBs? If that is the case, it vaguely ressembles the untangible accusations that business lawyers are not good investment arbitrators, simply because they hope that they wish to work for some, unspecified future investor. Finally, re Investment Arbitration: The "post-consensual" label for ISDS is somewhat unnecessary, generalising, and in my opinion not justified. There is a consensus about the arbitration between the investment instrument’s parties: In case of investment contracts directly between state and investor, in the case of treaties, given vicariously be the home state (which, -arguably- it may give, because this alternate route of legal recourse is conferring exclusively a benefit on the investor). I would not use the word mafia in this context (though many sports executives, recently at FIFA or IAAF have indeed been involved in corruption). The main point is that the CAS is the only judicial institution that reviews the decisions (in anti-doping, disciplinary matters etc…) of the SGBs (the SFT does only a very light check). The SGBs will always be in a similar position and are interested in limiting the challenges against their internal decisions. If SGBs control the CAS collectively (as they currently do), it might be captured (or perceived as such) and inclined to favour their interests. No need for a conspiracy theory, there is just a structural/sociological imbalance in an institution that should be, due to its exclusive position as quasi-final judicial arbiter, as independent as possible. You’re right my reference to investement arbitration as being post-consensual is maybe inadequate. Though, its "consensual" foundation is certainly of a different kind than in commercial arbitration. If you read the above having the Russian scandals in mind, it is easy to conceptualize the arguments that, if used by upset countries, could bring international sports down for good. Food for thought.